Pittsburgh Police await the bureau's promotion ceremony on Monday, July 11, 2016. 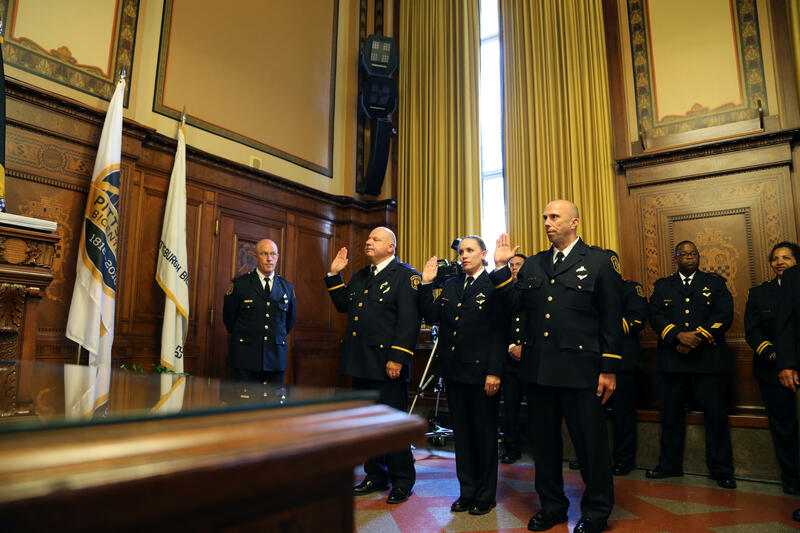 Commander Cristyn Zett takes a new oath of office at the Pittsburgh Bureau of Police promotion ceremony held Monday, July 11, 2016. Zett was tapped to take and teach an implicit bias training course funded by the U.S. Department of Justice. Commander Cristyn Zett smiles at her husband, Sgt. Richard Zett, as she pins his new badge. The pair were both promoted in a Pittsburgh Bureau of Police ceremony at the City-County Building on Monday, July 11, 2016. 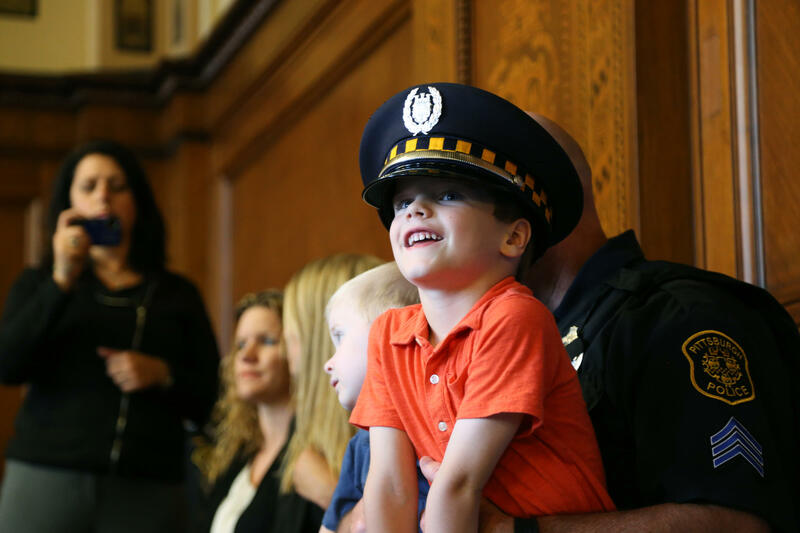 Callen Joyce, 5, of Beechview sits on the lap of his father Officer Mark Joyce at the Pittsburgh Bureau of Police promotion ceremony Monday, July 11, 2016. 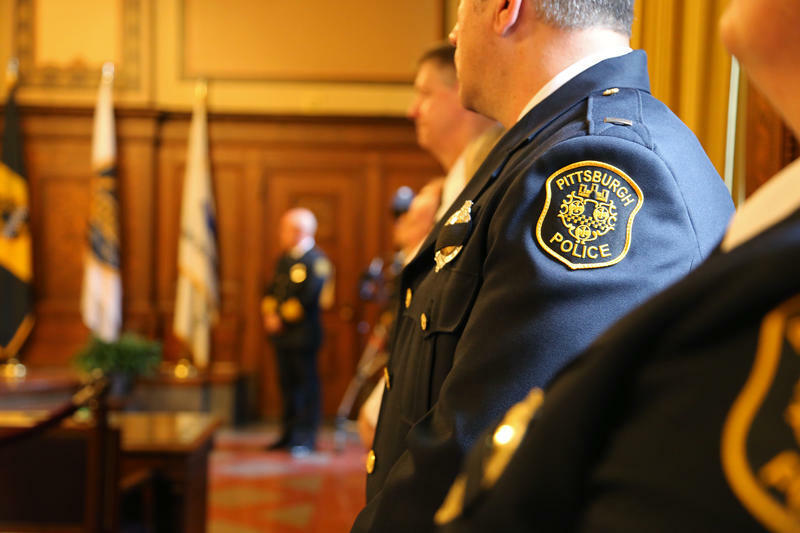 Fourteen Pittsburgh Police officers trained to detect implicit bias and procedural justice interventions as part of the National Initiative for Building Community Trust and Justice will now be tasked with passing along that information to fellow officers. The training urges officers to enter situations from a place of neutrality instead of making assumptions based on characteristics like race and clothing of the person they’re dealing with or the neighborhood where officer are responding to a call. Commander Cristyn Zett and her husband Sgt. 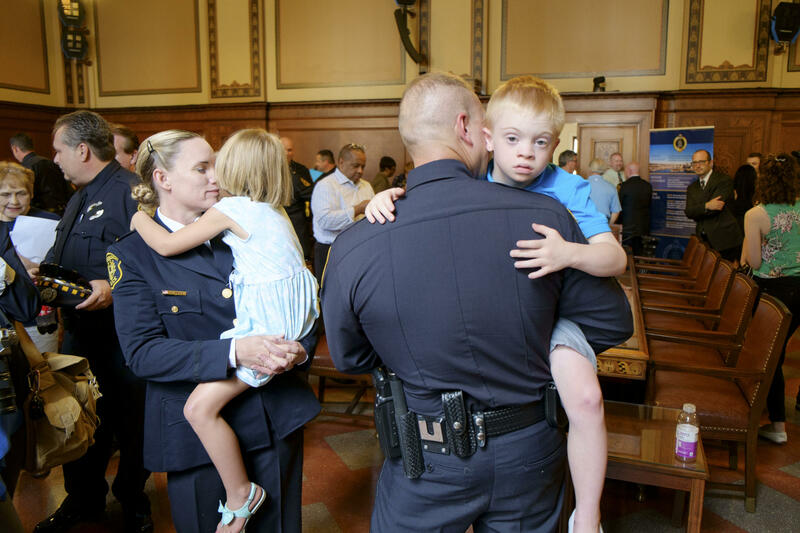 Richard Zett of the Pittsburgh Bureau of Police hold their children, Emma, 5, and Gavin, 7, after their joint promotion ceremony held at the City-County Building on Monday, July 11, 2016. 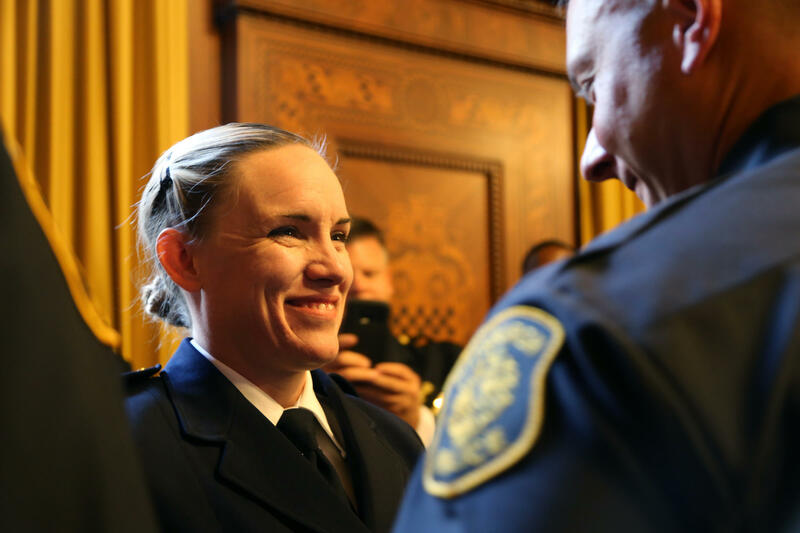 Office of Professional Standards Commander Cristyn Zett, who was promoted last week, is one of the officers tapped to educate others on how to decrease those unconscious biases and improve interactions with the public. 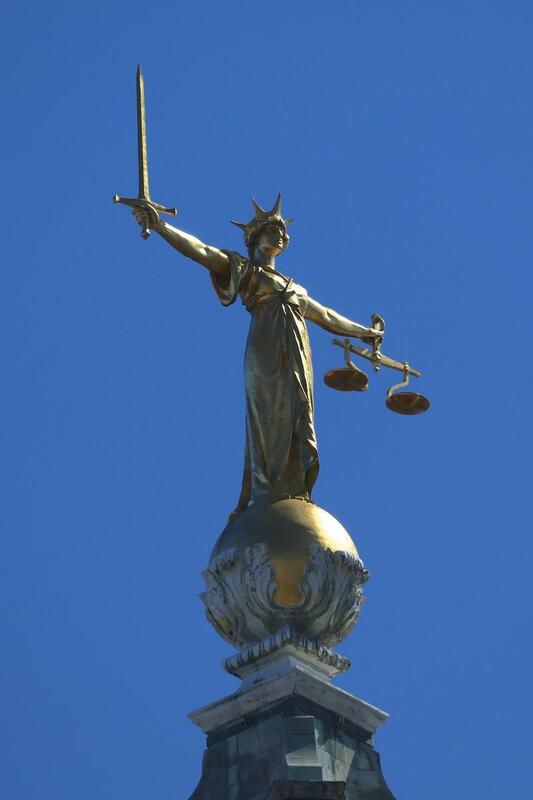 The National Initiative for Building Community Trust and Justice, a project created in 2014 and funded through the U.S. Department of Justice, works to increase trust between citizens and those working for the criminal justice system. Focused on reconciliation, procedural justice and implicit bias, the project aims to create dialog about historic tensions and misconceptions between communities and their law enforcement agencies, understanding the formation of public opinion and the unconscious psychological biases authorities may have. Zett said those goals are attainable. She said she hopes that the training will change how officers approach various situations. “To be able to look at a situation for what a situation is and not coming into it prejudging just based on a radio call or a neighborhood or what something looks like as you pull up outside the house," Zett said. Mayor Bill Peduto said the changes in training will help mend relations with minority communities. Zett said officers are expected to complete training in the next few months. The Supreme Court considers what it takes to show prosecutors are discriminating against minorities when selecting juries. 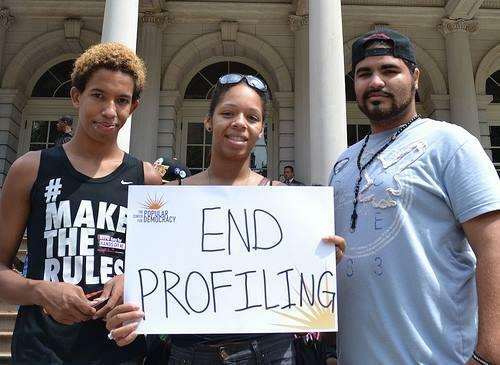 This practice is known as implicit bias, and continues to become more prevalent. David Harris, a University of Pittsburgh Law professor, will soon head to the White House to address this practice. He explains that implicit bias causes us to make quick judgments about people or groups of people, resulting in unintended discrimination. Hundreds of activists, community organizers and progressive elected officials from around the country are meeting in Pittsburgh this weekend. 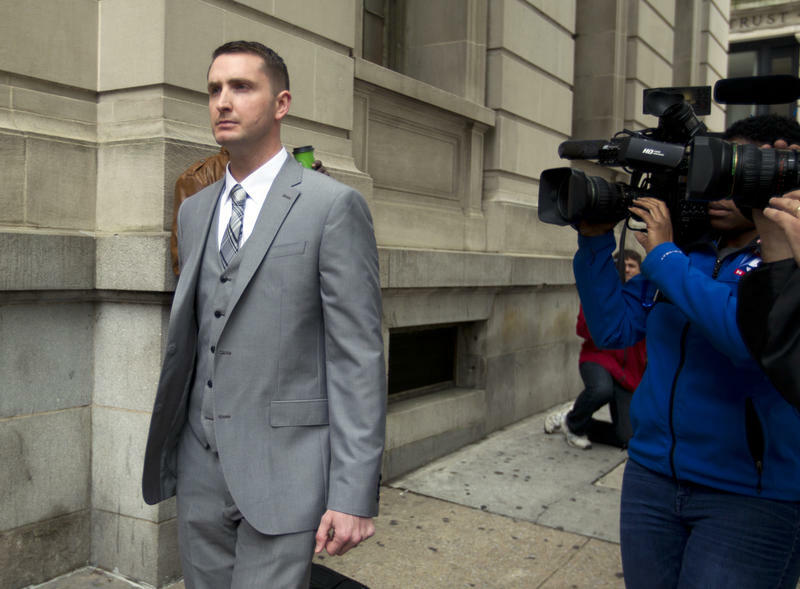 A Baltimore judge cleared Edward Nero, the second of six police officers to stand trial in the Freddie Gray case, of all charges on Monday. Gray sustained a fatal spinal cord injury while in police custody last April. The previous trial of Officer William Porter resulted in a mistrial, the state plans to retry Porter later this year. In many cases, the people holding up signs with those phrases have been white. Recognizing that discussions of race and racism can be different when people of color are not present, WHAT’S UP?! Pittsburgh is a local group focused on promoting anti-racist action, and knowledge. Members such as etta cetera and Rose Lynd who identify as white, look at ways to challenge racism in their communities, among family and friends, even within themselves. They discuss the ongoing work of WHAT’S UP?! Pittsburgh and the many ways they confront racial injustice. 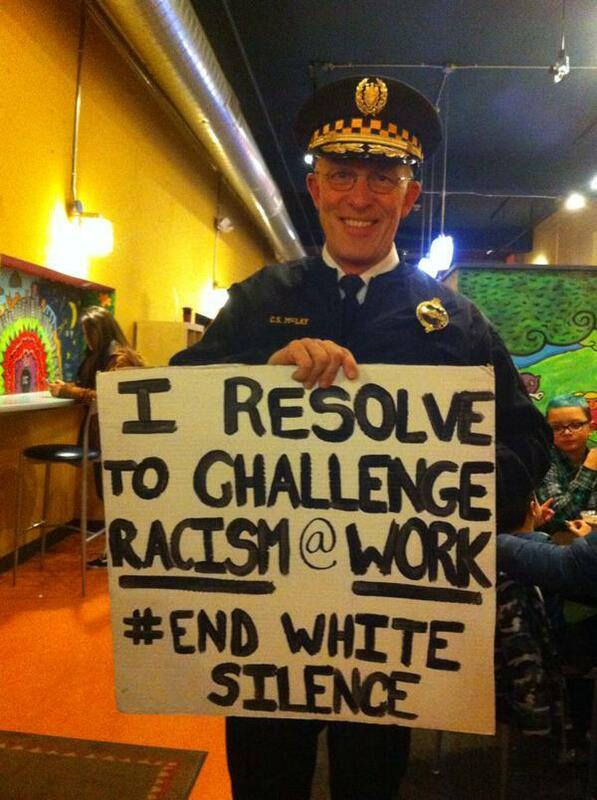 Recently, Police Chief Cameron McLay came under fire for appearing in a photograph with the hashtag "End White Silence," a social media campaign initiated by WHAT'S UP?! Pittsburgh. Critics of McLay's photo say he was inferring that the police were racist. etta and Rose, however, say their message is more about helping white people to become active when considering racial issues.